1) What is the difference between EE and ER amount In EPF Balance Inquiry SMS? 2) Why EE and ER are different amount in EPF Balance Inquiry SMS? Please read Employee Provident fund Contribution for more details. 3) Why my EPF account is dormant account? If there is no fresh deposit for 3 years in EPF account then your account will be inactive/dormant and you will not get interest from that date. 4) While checking EPF balance online, it shows “Invalid Member_id / Data not updated against this account”. There could be many reasons for this error. - Your PF account is not managed by government EPFO but managed by your company privately. Form 19-To be submitted by a member to withdraw his Provident Fund dues on leaving service/retirement/termination. - Refund of Employer share. Form 13 -You just have to fill form 13 to transfer your P.F amount and submit in new company.It will transfer EE+ER+EPS amount. 6) Is EPF withdrawal amount is taxable ? Yes, if your EPF account is not 5 years old and EPF amount will be added into your taxable income and will be taxed according to your tax slab. Let’s assume you have EPF account since 1st JAN 2005 and there is no fresh investment from 1st JAN 2008 (because you left company). The EPF withdrawal amount will be taxable if you withdraw before 1st JAN 2010 but it will be non taxable if you withdraw after 2nd JAN 2010. 7) What are the eligibility rules to get employee pension scheme benefits? Employee should complete membership of the employee pension scheme for 10 Years. It means you should not withdraw EPS money for continuous 10 years and you should transfer money to next company whenever you change company. 8) How do I know your EPF withdrawal claim status? Please follow http://www.epfindia.com/ClaimStatus_New.html to get status. 9) How do I know your EPF balance online? Please read EPF Balance - Employees' Provident Fund Balance online for step by step process. 10) How do i register my grievance for EPF or EPFO? 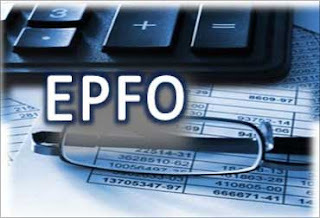 Please go to http://epfigms.gov.in/ website and submit and track your EPF/EPFO grievance. So I could not answer this question on other post because of one technical limitation. 1) Your old company is not following legal process. you can force them for signing the the form. try sending mail to HR Team and get written acknowledgement for not signing the form. 2) Yes, You can transfer PF to new PF account by submitting form to new company. It will directly goes to EPFO office. 3) Minor variance in name in PF account is ok because you are providing PF account no in transfer form also. My D-o-J is on 01.01.2011. Amount Deduction as PF is Rs.780/- I got a message "EE Amt:Rs.1823,er amt:Rs.557 as on 07.07.12 (a/c updated upto 31-3-11). What Does it Mean? How much amount total has been deducted from me as EPF till today. They have taken only 3 months (JAN-11 to MAR-11) for PF contribution for interest calculation. so your EE is around 1823. so your contribution is calculated correct only. hi, dear jig vishu. i have got a sms from EPFO. EE AMT RS.4185 ER AMT RS.1279 AS ON 16/07/12 (ACCOUNT UPDATED UPTO 31-03-11) I Worked in the company almost 19 months and my PF contribution was 772 per month. I'm shocked to see my PF balance So please tell me that how much amt. i Will get ? thanks. Your APR-12 to till date(9 months)contribution are not reflected in SMS because account is updated till 31-03-2012.
for remaining 10 months of 772 contribution..it should be 7720 for EE and Er will be less because of EPS contribution. Why PF amount is very low? Im working from past 4 years and every month they deducting nearly 2000/- (PF EMPLOYEE CONT. + PF - EMPLOYER CONT.) but my balance still showing very low. Can you please explain the SMS which says data updated till Mar 31, 2011, is this included 4 years data or what? As per SMS, your APR-11 to DEC-12 (around 21 months)are not considered for calculation. Some EPFO office process data late..Dont worry. your SMS shows data of initial 27 months of your job and As your PF contribution is small amount and it will be EPS contribution so the overall balance looks small. Hi, how to get epf balance? i am not getting any sms. Please Suggest me. Is it showing any error message online while entering data..If all data is correct then it shows message is sent on Mobile no..
Answer: don't worry. your account is not updated till latest date/year. it's maintained till MAR 11 so not all month contribution is calculated. I worked for a company from 24 Apr 2006 till 3 Oct 2008 and moved to another company.I have raised PF transfer request on 8 june 2011.I dont know the status of it till now and my previous company also doesnot have any information about it and they asked me to register for grievance. I have registered for grievance last week.But the reply I got from them is "Please furnish complete EPF account number".I gave my account number as per payslip and I am also able to get details about my new PF account. Is my account inactive ? What can I do now ? Please suggest. Did you create grievance online at EPFO website? Your PF account must be on KN/12345/9876 or BG/BNG/12345/9876 format. if possible then let them about which state or city your old pf account belongs too. last credit to old account was done on OcT 2008 so definately yout old account is in dormant-inactive status. but they should be check details for sure it. let me know if you have further query. I joined company on 31/01/2011, and PF amount they deducted almost 2000/- month. Till 2 years in this company. Can i know how much money i will get while withdrawing..
Once you change company then only you can withdraw money. you can your EE and ER balance online. EE will be 2000*24 and ER will be 1400*24 and EPS will be 600*24 + Additional Interest amount. hi vishnu i joined nov 2011 in my company my pf amt is 600 i chk my pf status on 09.01.2013 got sms of, EE = 2425, ER = 740 as on 11-12-12(accounts updated upto 31-03-12) pls tell the calc steps for EE and ER. Only 4 months contribution till Mar-13 is considered for balance shown in SMS. it will be 600*4 + Interest and large portion of employer goes to EPS so ER will be very less. Let's calculate your contribtion to EE. This has EPS deduction also. So ER will be less then ER. SO dont worry, contact your EpfO and get the correct details. PLease reply back with your question if any. Thanks for all your patience replies. I need one more help. I have resigned from my previous org in Oct 17th 2012 and applied for EPF with drawl on Dec 21st 2012. On Feb 6th 2013 I received a SMS from EPFO saying "We have recived your application and is in process". Could you please update me how much time will it take to amount get credited? generally it takes 2-3 months time for entire process and Some EPFO center are slow in processing withdrawal request. So I suggest you wait for some time. I had transferred my PF a/c of Company A to B in 2010, B to C in 2011 and C to D in 2012. My question is what will happen if the transfer of B to C now takes place?? My current company HR suggested me to withdraw the amount but the Company B is not entertaining my request now. Can you suggest?? your C:D transfer is complete so C will not be active account now. So B:C transfer can not take place. So Good Idea will be withdraw PF from Company B. Company B can not deny your request. Ask them to give written justification or you tell them that you can complain to EPFO about their behavior. Your Pune account is inactive now so you can not check balance online. If possible then I will suggest check with EPFO pune office directly. Else you can apply for PF transfer in new company from Pune company. OR contact old company to update status.